Since 2001, more than 2.6 million troops have been deployed to Iraq and Afghanistan. 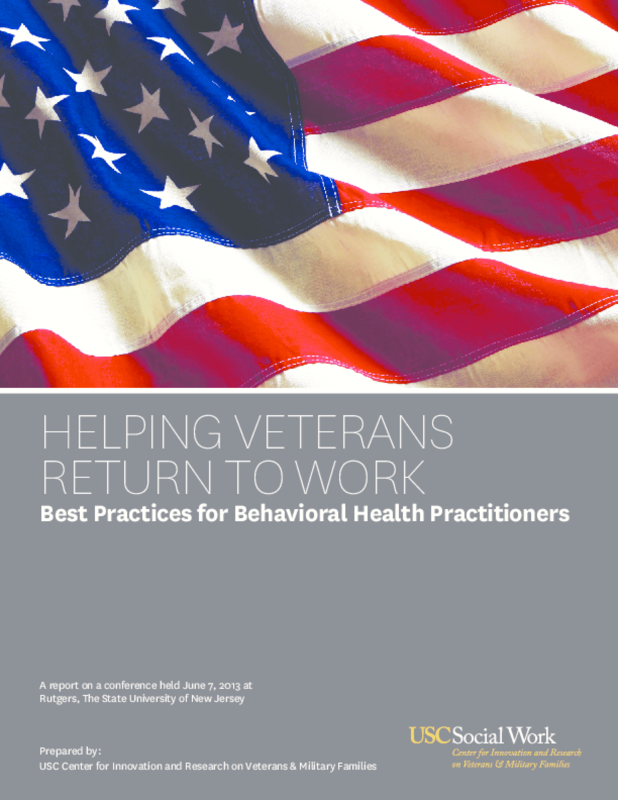 Their reintegration back into civilian society can often be met with difficult transitions, such as depression, relationships, health challenges, and unemployment. Alone, they are unique struggles to overcome, but, as is often the case, many of these challenges overlap and can have an adverse impact on a veteran's functioning and quality of life. Securing gainful employment has been seen as a key goal to a successful transition from military to civilian life, not just for the financial stability it creates for the veteran, but also for the social secondary benefits it engenders for the veteran and the community at large. Veterans are leaving a military culture that promotes unit cohesion, leadership and mentorship. In the civilian workplace, veterans are looking for teamwork, structured work schedules, and social activities, all of which can promote a successful transition and improve their quality of life and well-being. Nonetheless, despite numerous efforts and recent gains, the unemployment rate for post- 9/11 veterans remains stubbornly high. According to the U.S. Department of Labor Bureau of Labor Statistics, in August 2013 the jobless rate for this population rose to 10 percent, almost 3 percentage points higher than the national rate. Obstacles persist in both (a) preparing veterans for careers outside the military and (b) educating civilian employers about the strengths and challenges facing veteran workers. A coordinated approach to increase communications will help bridge that knowledge gap and, hopefully, go a long way toward increasing the employment rate among veterans, who have a lot to offer their communities.